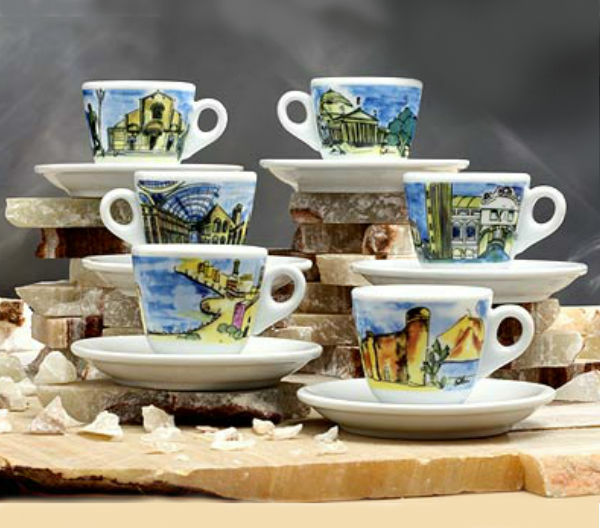 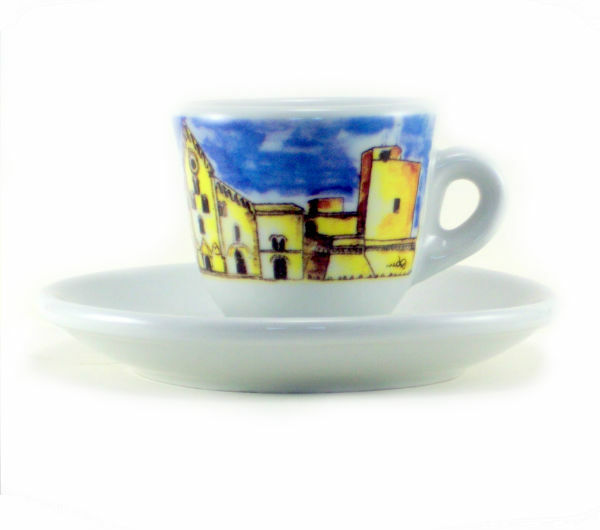 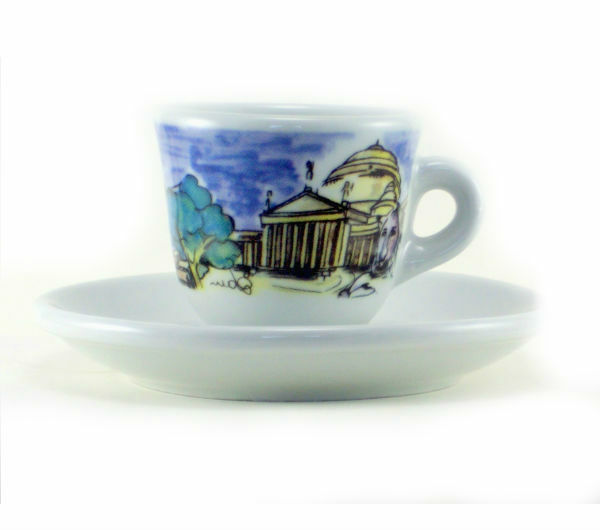 This set released by Nuova Point several years ago consists of 6 cups decorated with drawings of Italian cities and land-scapes. 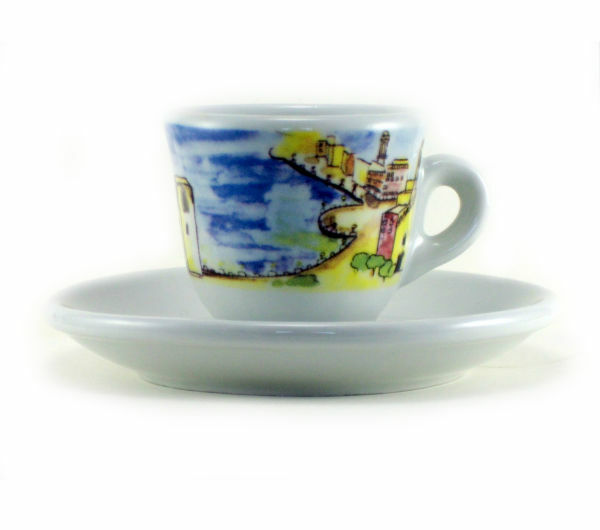 Like all Nuova Point cups, they are made of quality material, fired at high temperatures (approx. 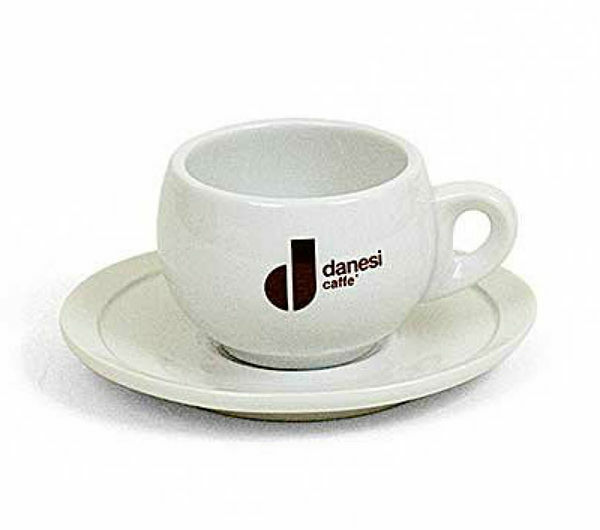 1270 degrees Celsius). 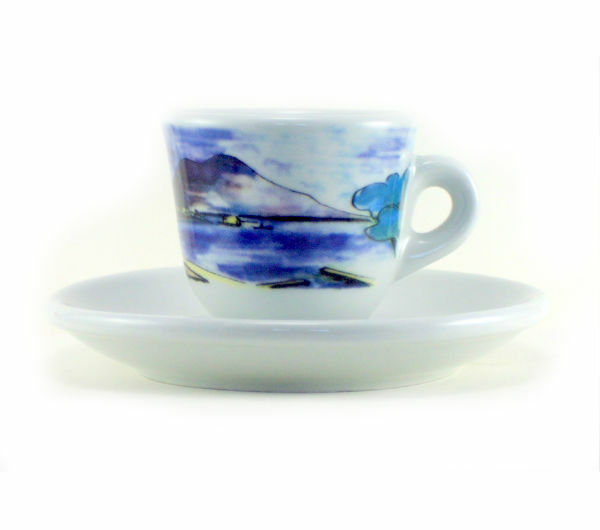 They are made for everyday use and resist regular washing and washing liquids (including bleach) without discolouration - the images are in-glazed and will not come off even with regular dishwashing. 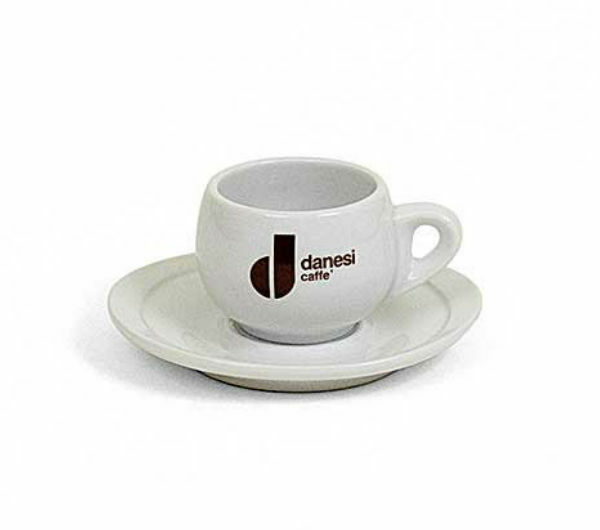 The upper rims are designed to withstand chipping and cracking from thermal shocks. 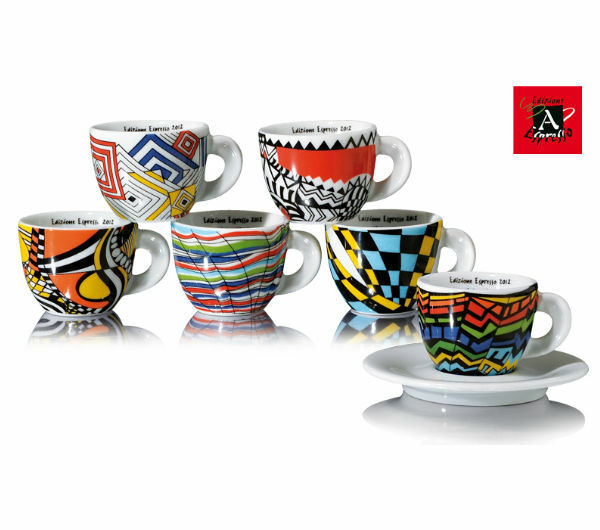 Like all espresso cups these come with an egg-shaped inner base in order to perfectly ‘cradle’ the hot pour.